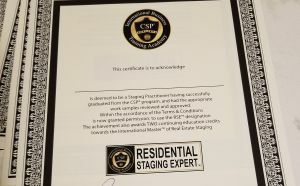 Ask your CSP® about the preferred pricing you receive from our partners when working with a Certified Staging Professional®. 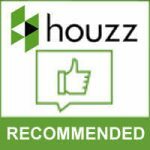 We thank all our Preferred Pricing Partners who have worked endlessly to help our home stagers provide their clients with the quality, affordable services and products homeowners and Real Estate Professionals need to prepare properties for sale. 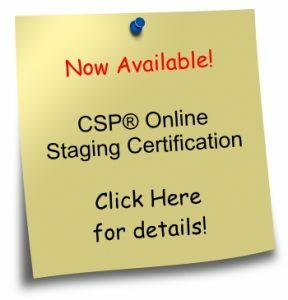 Along with preferred pricing, many of our national accounts provide training webinars, workshops or seminars to guide the CSP® home stagers with the knowledge and support tools to serve you better! A Year of Success is an online educational system brought to you by four of the world’s leading success experts. Each week the client will receive a three minute training video from one of our experts, plus a downloadable PDF that includes the lesson and two actionable steps. Along the way, recipients will receive four other high-value bonuses as well at no additional cost. Canadian Mortgages Inc. provides a wide range of financial solutions to consumers across the country. CMI offers very competitive, discounted prices to CSP® consultants and their clients. Our CMI team specializes in residential, commercial, construction, and business financing. Offers Certified Staging Professionals, easy to use, tracking system for inventory. Preferred program for CSPs. CSP International is very excited to partner with DesignFiles who will be offering special pricing to all CSP members. DesignFiles.co is one of the fastest growing online interior design platforms on the market. DesignFiles provides powerful interior design tools to help stagers/designers automate and simplify their workflow, maximize profits and build your brand. All the design tools you need in one delightful platform. Source products, create design boards, chat with your clients, prepare presentations and easily manage all client projects. Whether you’re a full service stager, interior designer, decorator or e-designer, they’ve got you and your business needs covered. 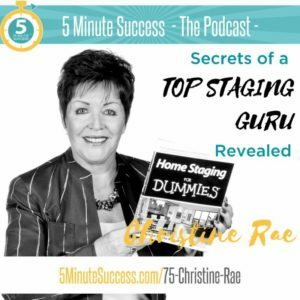 In this buyers’ market, savvy home sellers and real estate professionals are seeking advice from staging professionals on the most cost effective ways to get their properties sold for top dollar and in the shortest amount of time. Gone are the days of just picking up the kids’ toys and putting away the laundry. Today’s buyer not only looks at properties based on price and location, they want a property that is move–in ready and that “feels” like home. Dulux provides our CSP® alumni paint solutions and products geared for the staging challenges that may arise.An affiliate program is now available to graduates of the CSP® program. Executive Furniture, offers residential and commercial furniture sales and rentals, executive boardroom furniture sets and movie furniture rentals and sales in Southern Ontario. Executive Furniture Rentals delivers high quality furniture solutions that are tailored to meet any budget or delivery requirement. Exit Staged Right is owned and operated by a CSP member and was created to offer a unique and stunning selection of furniture rentals for transforming homes into beautiful showplaces that display a lifestyle home buyers could visualize living and entertaining in. We carry an extensive line of furniture and accessories including beautiful artwork, greenery, rugs and decor that are housed in our warehouse located in Kitchener. The furnishings have all been carefully chosen to capture the latest in styles and trends. From tiny condos to multi-million dollar homes, traditional to contemporary, we have the right scale and style of furnishings to create lasting first impressions. Offers Certified Staging Professional® quality everlasting botanicals, trees, pre–made arrangements, containers and home accents and quality Christmas decorations discount price. Frame Your Mirror Inc. is a Calgary based company established to provide Canadian consumers with a practical and cost effective way to transform plain existing mirrors into attractive focal points without having to remove them from the wall. Frames are shipped disassembled across Canada and upon delivery are easily assembled and installed. Jones DesLauriers Insurance Management Inc. has partnered with a leading national insurer to develop a unique and comprehensive insurance program for members of the Canadian Staging Professionals® Association. The insurance program is intended to reflect the unique needs, exposures and growth plans of each member. 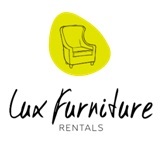 Lux Furniture Rentals is very excited to partner with CSP and offer special pricing to all CSP members. They are Toronto’s premier and only luxury furniture rental house. Their wide selection of contemporary and transitional furniture was selected based on the needs and wants of todays’ home stager. Lux Furniture Rentals is not only a furniture rental house but also a resource center where support is provided to home stagers through educational seminars and events. Visit their showroom at 238 Lesmill Road in Toronto to find the perfect pieces you need to stage your space. PRowl Communications is a marketing agency offering services to enhance the search for your perfect customers. They do it through web design, SEO, strategy, social media, blogging, design services, marketing automation for email, digital advertising and lead generation. PRowl is also a Zoho Partner building strong CRMs to integrate sales and marketing efforts for their clients. For 30+ years, PRowl has built a reputation for adapting quickly to marketing trends while remembering tried-and-true marketing principles to grow business with a positive ROI. They will help you stop selling and start having conversations to build relationships. PRowl Communications offers a 20% savings for CSP® grads. A bad picture can make your staging skills look less than memorable, but a great picture can make your staging skills look amazing. The Modern Photography Course will teach you how to take great pictures, so your portfolio will stand out from the crowd. Enter the coupon code csp10 at checkout to get 10% off of your order! We have a large variety of furniture including: couches, end tables, accent chairs, kitchen and dining room tables and bedroom sets! Servicing within a one hour radius from Orangeville. Northwood Collection has been leading the North American Wall Décor Industry for 25 years through innovative design, process engineering and product development. We offer a wide selection of high quality framed art, mirrors, alternative wall decor, canvas, oil paintings, and clocks. An affiliate program is now available to graduates of the CSP® program. We all know that a clean, uncluttered home, sells faster and for a higher price. PODS helps make decluttering easier and more convenient by bringing a ground–level container right to you. Preparing your home for sale, often requires making your older furniture look new again. 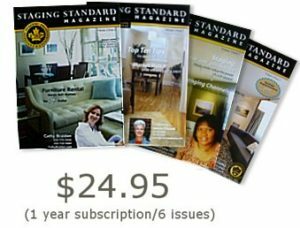 Sure Fit Inc has made it easy for CSP® staging consultants to refresh your home with fresh welcoming home accessories and stylish updated sofa, chairs and ottoman coverings. Whether you rent or purchase what is needed from your local CSP®, now that Sure Fit is a CSP® Preferred Pricing Partner, YOU SAVE! We are proud to have partnered with CSP® to offer you significant discounts, valuable business tools, customized training programs and more. The first step in developing a personal relationship is to refer to the CSP® website for direction on how to set up your CSP®/SW account. By doing so, you will receive FREE fandecks and have the ability to earn rebates by referring your clients to Sherwin Williams for their paint purchases. The Stagers Source is your one stop shop for renting furniture, art, and accessories designed especially for home staging. We carry everything from small condo furniture to million dollar home. We offer special pricing for CSP’s. Stagers Source stands for excellence, reliability and great quality! Visit our 20,000 sqft warehouse & showroom at 1168 Caledonia Rd. in Toronto and see for yourself. SOFA: SOURCE OF FURNITURE + ACCESSORIES– is a your one-stop design centre! SOFA (Source of Furniture + Accessories) is a trade-only, single-facility collection of permanent showrooms for interior design professionals, stagers, manufacturers, buyers and dealers. Our ever-evolving 200,000 sq. ft. space is open and thriving, 10 am – 4 pm, Tuesday-Thursday. SOFA is a design centre housing elegantly designed, generously appointed showrooms from Canada’s (and several of the world’s) most sought-after home furnishings, commercial and hospitality manufacturers and distributors. Available in Canada Only. The Brick is Canada’s largest volume retailer of home furnishings electronics and appliances. We offer over 200 locations across Canada and an on–line showroom accessible 24/7. CSP® has secured an industry related program for your business. The Brick will honour contractor pricing on all home furnishings, electronics, and appliances. Access the downloadable Certificate here to receive contractor pricing for you and your clients. To take advantage of the program you must be an active member of CSP®. 70% discount on long distance in the off season.